Whilst its already been announced that the Nintendo 3DS will be making its début in Japan on February 26th here are some additional snippets of information regarding Nintendo’s eagerly awaited hand-held. Comes with a 2 GB SD card. 3DS Virtual Console for Game Boy, Game Boy Color, and maybe Game Boy Advance titles. 3DS online service will sell Game Boy, Game Boy Color, Game Boy Advance, Classic Games in 3D, DSiWare, and 3DS (ware?) titles. Always on passive Tag Mode that can do data exchange, even for games not being played. Japanese launch colors are Aqua Blue and Cosmos Black. Home button brings up an ingame menu enabling users to browse the web, turn Wi-Fi on/off and modify other settings without exiting. “Mii Studio” Application: Take a picture of yourself and have it auto converted into a Mii. “AR Games” Application: Built in augmented reality games (comes with six paper cards for these). “Nintendo 3DS Cameras” Application: The 3DS can automatically merge two photos into a single image. I’m assuming this is also for taking pictures. “Nintendo 3DS Sound” Application: Unsure, guessing something like Mario Paint. “Chance Encounter Mii Plaza” Application: I’m assuming this is a place for Miis to hang out that you’ve picked up from tag mode and/or QR codes. “Book” Application: Maybe an ebook reader? 3DSWare games can be moved from one 3DS to another, and some DSiWare games can be moved to the 3DS as well. Is compatible with Wifine if you live in Japan. This should no longer be considered a handheld. This is a fricken console in your pocket. Day 1 purchase for me when they are released(for america). Console’s right. This thing’s like a mini-Wii. I agree with callmejackz. It may as well be a new console, except with its own screens and portable. The most intriguing thing is the 3DS Virtual Console. I was waiting for the original DSi to come up with something like that. With new 3DS Shop .. We will be able to buy the Oldies once more !! That sentence just sold me. The applications seem neat. Hopefully 3DS Sounds will quiet all of the Mario Paint fans. I’m not too sure about the Books app. 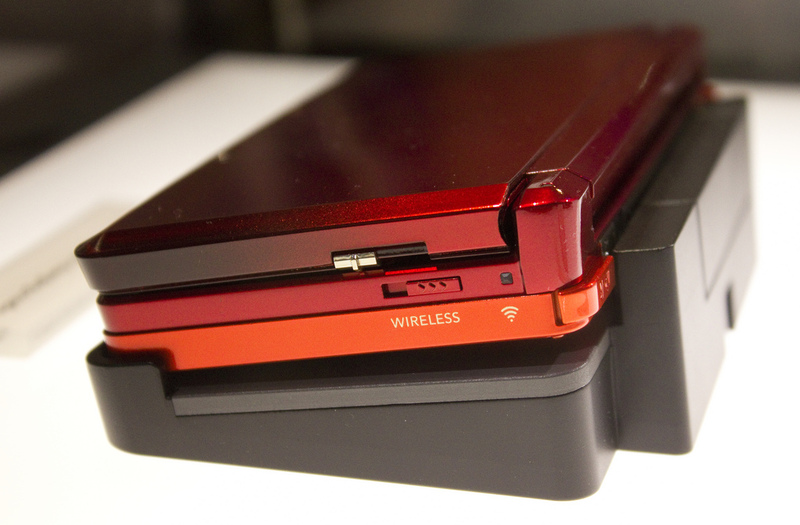 I know that there are a lot of devices, but I don’t see the 3DS as being one of them. Bringing back the Miis sounds cool. They’re like your gaming avatar. I really hope they will let you transfer between the Wii and 3DS. I think the PS3 has a feature like this as well. Not really new, but I think it’s a good idea. The augmented reality sounds cool, but I don’t like those games much. I’d rather play a game in some fantasy land than in my bedroom. Passing 3DSware titles seems like a good idea. Though you might only pass demos along for others to try and then buy the games. I’m still waiting to see how the horrid friend code will be replaced. (Hopefully it will be done through a universal log in, just like the Xbox360 does). This is a almost like a console, filled with lots of things that is handheld to take anywhere with you. Very exited for next year! The 3DS sounds powerful. Can’t wait to get mine on the day of release. Now only if it came with a GPS, then I could also play online GPS games like Geocaching.